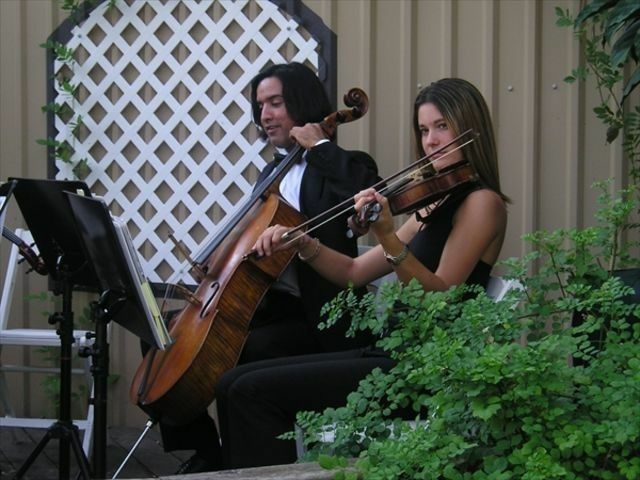 Houston Wedding & Reception String Music has been entertaining and delighting hundreds if not thousands of Bridal Couples, Wedding Planners, Civic Groups, Families, Marriage Celebrants, Dinner Party Organizers, Churches, Executives, & Religous Celebrants since 2000. 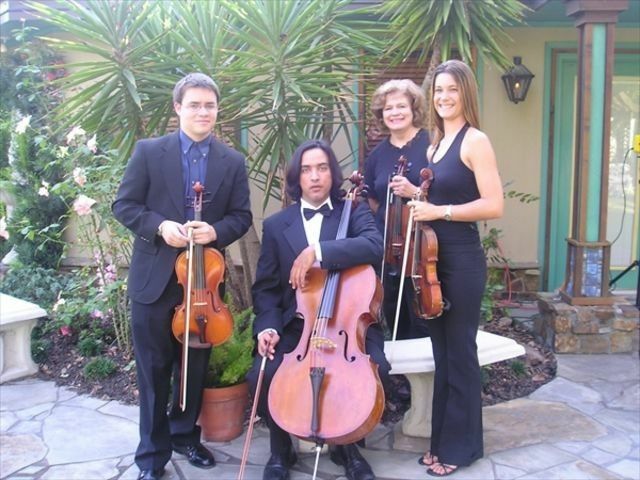 Houston Wedding & Reception String Music plays for more Wedding Ceremonies and Special Events than all of the other Ensemble in the metro Houston area combined. 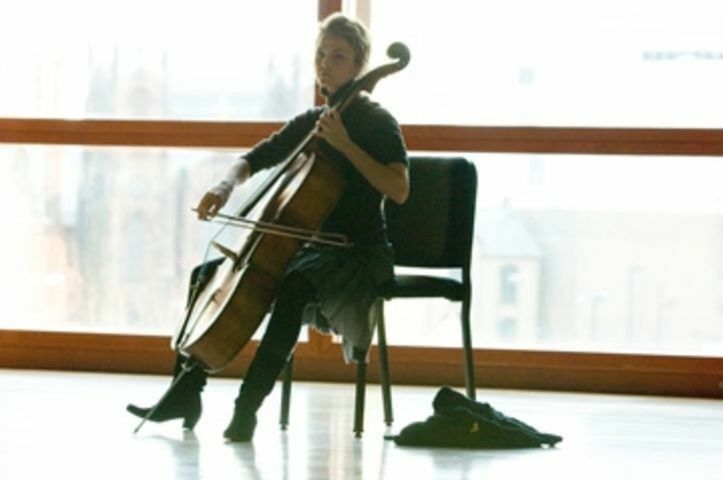 Houston Wedding & Reception String Music provides Musical entertainment in Houston, The Woodlands, Lake Conroe, Sugar Land, Montgomery,Tomball, Magnolia, Willis, Kingwood, Galveston, Spring, Humble, Seabrook, and Katy, Texas. 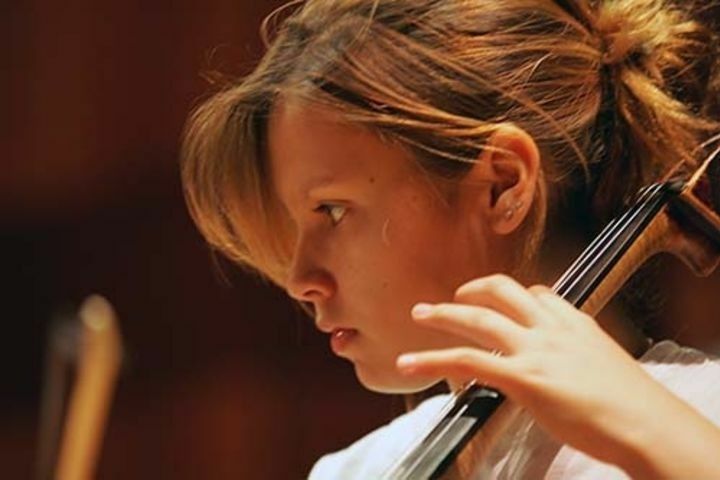 University of Wisconin (Madison), University of Texas (Austin), Oxford University (England), LSU, N. Texas University, University of Houston, TAMU, Manhattan School of Music, Eastman School of Music, SHSU, Florida State University, Baylor University. 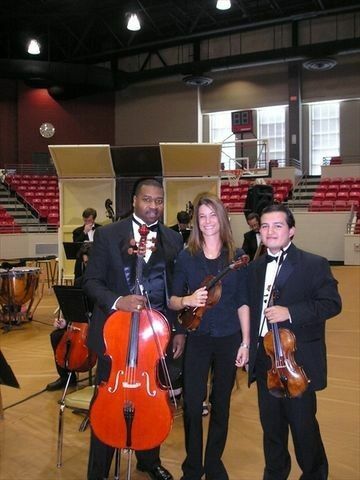 Wonderful Musicians, helpful, courteous, knowledgeable, professional, and fun to work with. 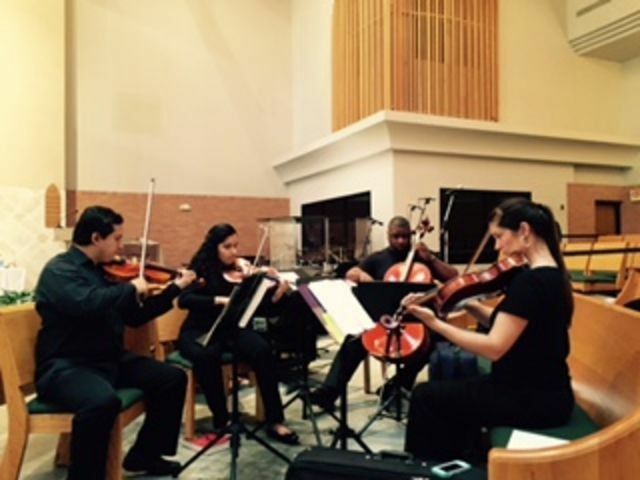 Their Prelude Music truly set the ambiance of our entire Ceremony! 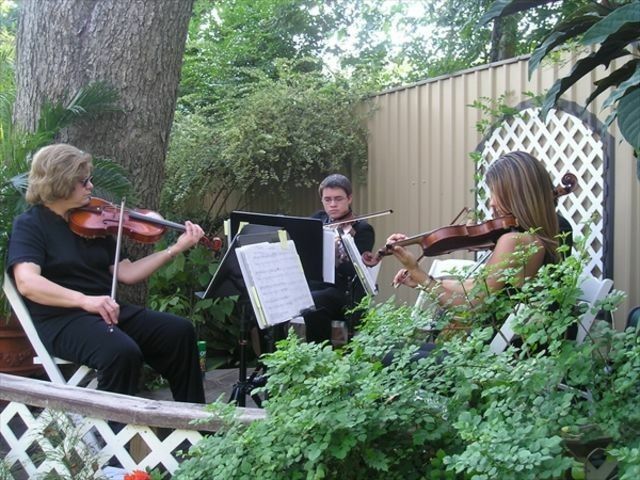 We had a genuine, live Piano Quartet from Houston String Music entertain for our outdoor Wedding Ceremony. They brought their own professional Keyboard which sounded exactly like a Piano. Actually, for “The Swan”, they had it sound as though we had a Harpist playing. What a lovely group of Musicians and so pleasant and easy to work with. Truly a dream come true for me! 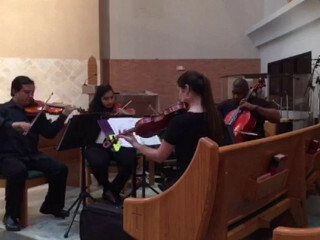 Thank you, Houston String Music, for the beautiful Music you provided at our Open House on Presidents’ Day. You gave our Open House a sophisticated refinement which is exactly what was needed to impress our delighted Clientele. We are thankful that you have so many wonderful professional Musicians thus having the flexibility to make modifications with unforeseen events and substitute instrumentation. Thank you for giving us the opportunity to select your most popular and talented String Quartet plus Harp which delighted us with both classical and modern contemporary music for several hours making our annual Special Event truly extraordinary. Thank you very much, Houston String Music!